A few months ago, I published The Ultimate Guide to Crochet in the Round. 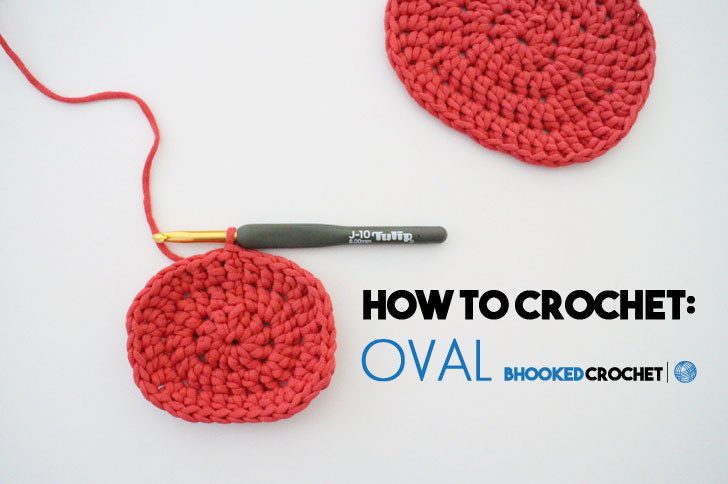 But what if you need to crochet an oval? Do the same rules apply? You will need to apply some of the same principles – increase evenly and by a specific number so it will stay consistently oval and flat. However, if we use the exact same rules, we’ll end up with a circle. We need to rearrange the sequence of things to make an oval. Let me begin by saying there is more than one way to make a crochet oval. I will demonstrate the method that I prefer using, simply because I like the shape best – it’s very “true oval” in shape. 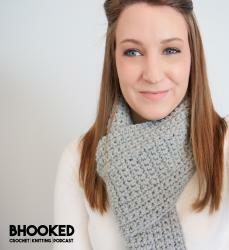 Other methods will allow you to crochet a very long sided oval. If this is the shape you’re going for, this is not the tutorial for you. Perhaps we’ll cover that in a later episode. I’d like to begin by providing you with a starting point. 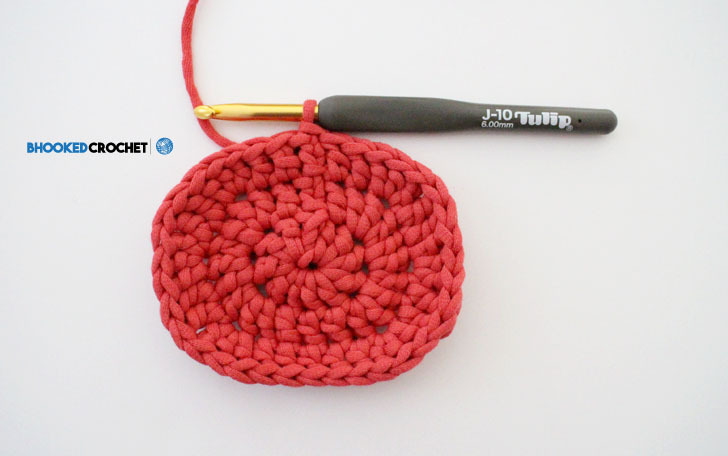 In this tutorial, I’ll demonstrate how to crochet the first three rounds of the oval. Then, I will talk you through the process of making it a larger oval, because let’s be honest – you’ll probably want to make it bigger. Don’t worry, I’ve included the first 12 rounds of a crochet oval in the written instructions but if you want your oval to be larger, you’ll need to apply the principles I mention in the tutorial to make it larger. Don’t worry, it’s a piece of cake! First things first, the tutorial. If you would like to make your oval even larger than 12 rounds have a look at the tutorial above, at minute mark 16:30 to see my discussion on how to do this. I have searched for an oval pattern to make kitten beds. This is it, however, it it holey. Kittens get their little feet stuck. I use bernat blanket, M hook, and need to use sc. Would I replace the TC with DC? And only ch 1 at beginning of each round? Thanks for the advice.